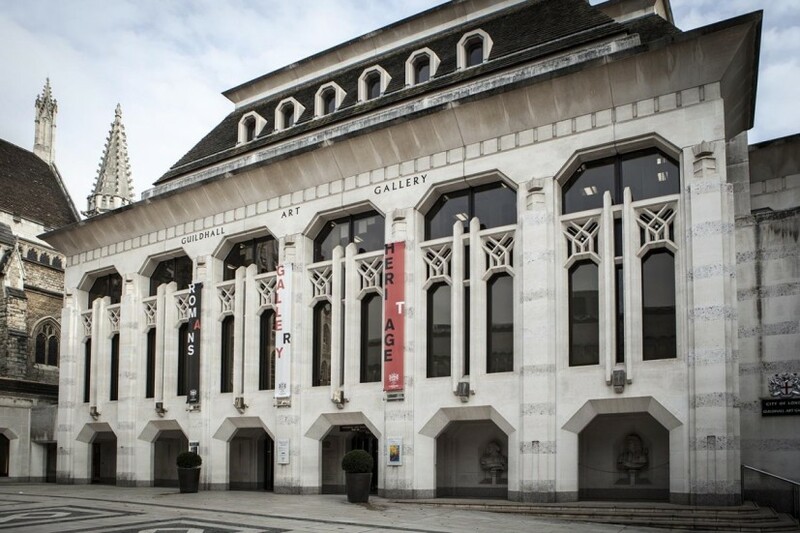 Guildhall Art Gallery houses the City of London’s art collection and is situated in the heart of the Square Mile – a stone’s throw from the Bank of England and St Paul’s Cathedral. The gallery opened in 1886 at a time when, inspired by the public’s ‘increased taste for art’, civic leaders were opening their collections for all to view free of charge. The aim of Guildhall Art Gallery was to display ‘a Collection of Art Treasures worthy of the capital city’. The gallery’s first director mounted a series of popular exhibitions, queues for which stretched from Guildhall Yard to the Bank of England. He also started to collect contemporary art, a tradition maintained today. Fire almost entirely destroyed the gallery during ‘the longest night’ of the Blitz in 1941. Although much of the collection had been moved for safety to an underground store in Wiltshire, the gallery lost several hundred works of art. Undaunted, the City Corporation opened a temporary gallery and, in 1985, decided to re-develop the building. During the subsequent works the remains of London’s Roman Amphitheatre were discovered, now preserved and open to the public, at basement level. The building you see today was designed by architect Richard Gilbert Scott and opened by Her Majesty Queen Elizabeth II in 1999. 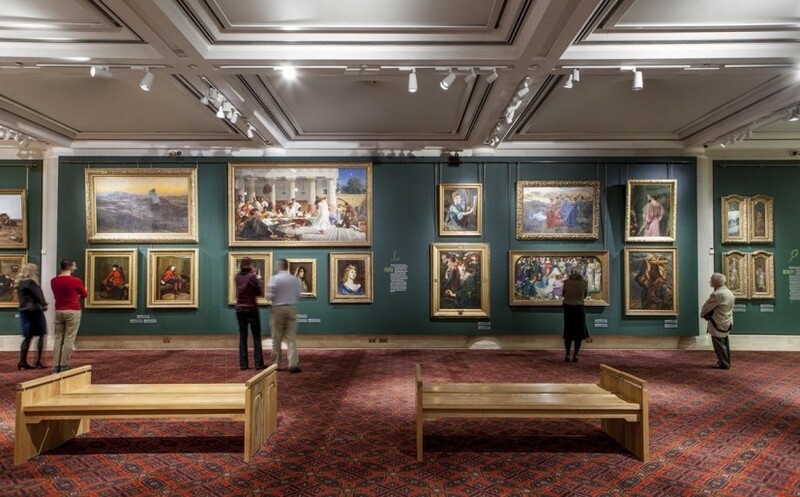 Guildhall Art Gallery shows a changing display of about 250 artworks from its permanent collection of paintings, drawings and sculpture, as well as staging temporary exhibitions. The collection is particularly rich in Victorian art, whose styles and themes range from the Pre-Raphaelites to the late 19th-century fashion for all things Oriental. Scenes of London take visitors on a colourful journey into the City’s past, covering both dramatic events like the Great Fore of London of 1666 and crowds enjoying the Lord Mayor’s Show, to everyday street scenes. Twentieth century art is explored through the studio collection of Matthew Smith, donated to the City in 1974. The gallery’s focus is on expanding its unique collections. In 2013 it launched a new acquisitions drive, focusing on works which explore the gallery’s unique location in the centre of London’s financial district – drawing on themes around money and power, plenty and progress, boom and bust.